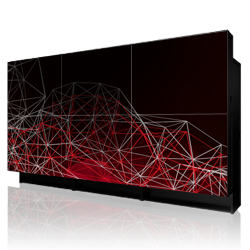 Saving LED light source and DLP projector system incorporated to realize more advanced visual communications.120 Series display wall cubes newly added to the product line-up further enhancing our ability to propose tailor-made solutions that suit diversified customer applications. Energy-saving LED light source and DLP™ projector system incorporated to realize more advanced visual communications. 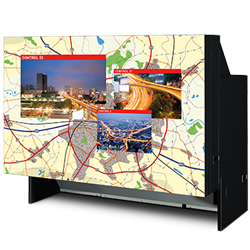 Display wall cubes with wide formats of 16:9 and 16:10 newly added to the product line-up, further enhancing our ability to tailor solutions to suit diversified customer applications.